Wrap wire branch or pine springs around base of hoop. Secure with hot glue. 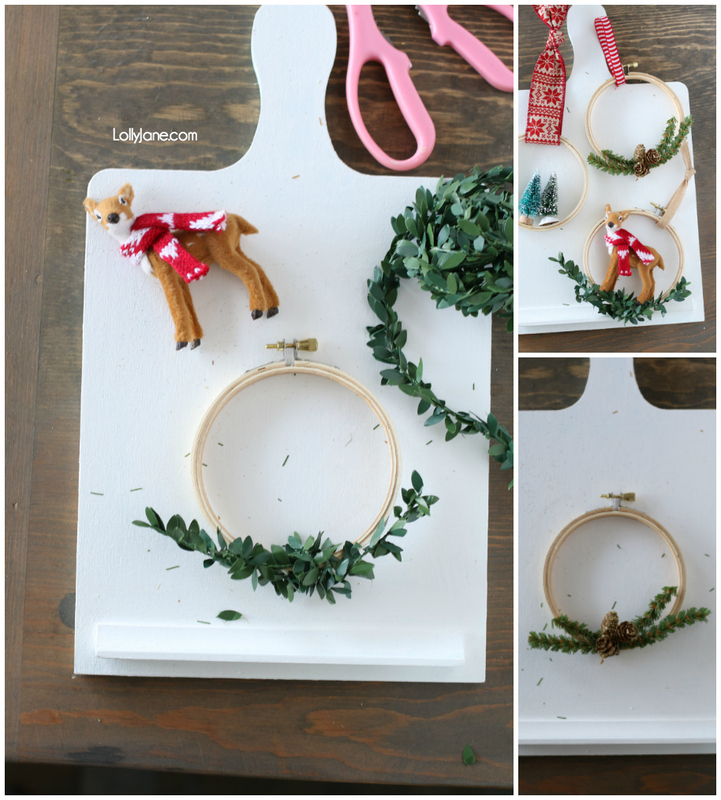 Add embellishments like mini pinecones, deer figurine, or trees. 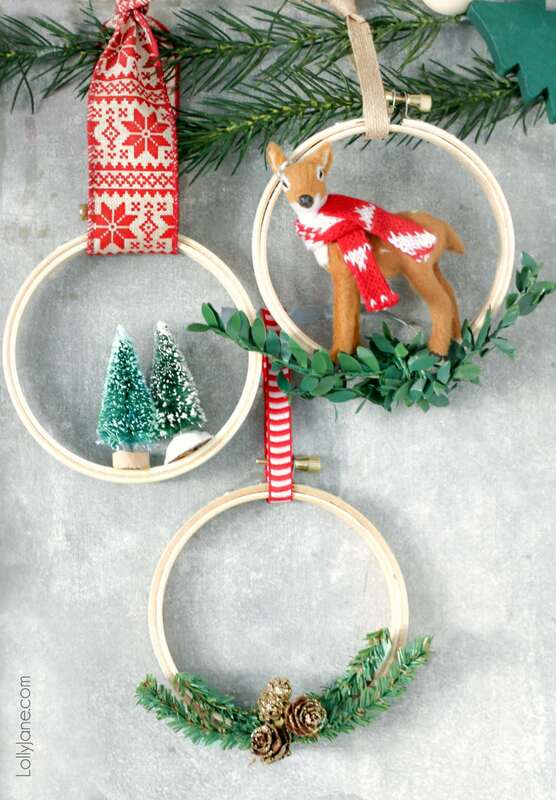 Tie a loop of ribbon around hoop to hang. Yes, it’s seriously THAT easy! Hang on tree and enjoy the view! Let the kids help! 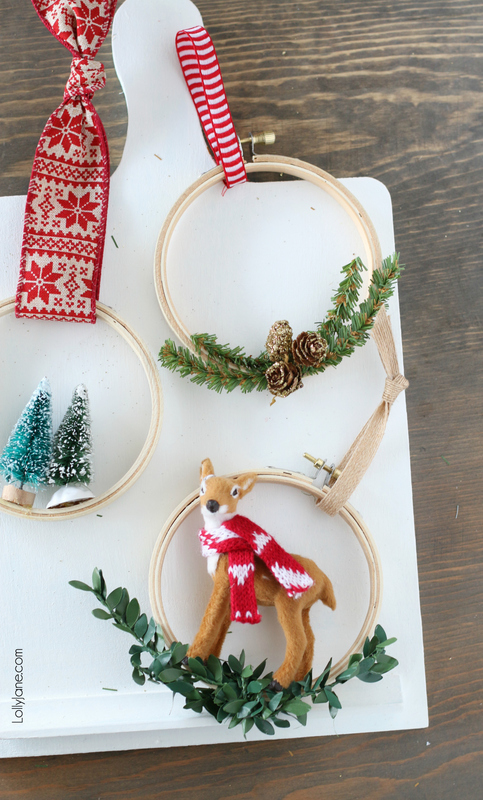 Christmastime to us is all about family so supervise those littles with hot glue but let them bend the wire to form the sprigs or let them choose where you glue what on but having fun while creating these embroidery hoop Christmas ornaments is a must! And if you don’t have kids, sipping a cup of cocoa while watching the Hallmark channel and getting your craft on isn’t too shabby of a combo, either! 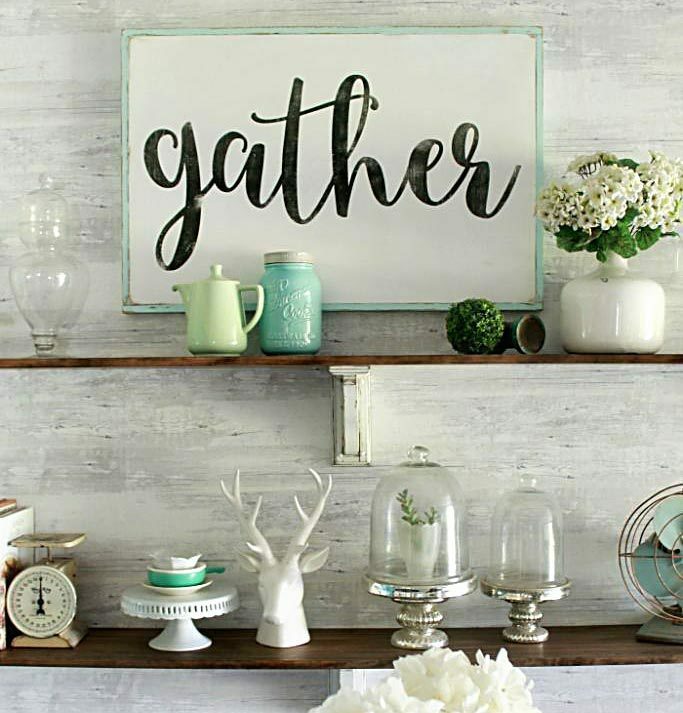 Check out 20 Fab & Festive DIY Ornament Ideas! Did you see these?! 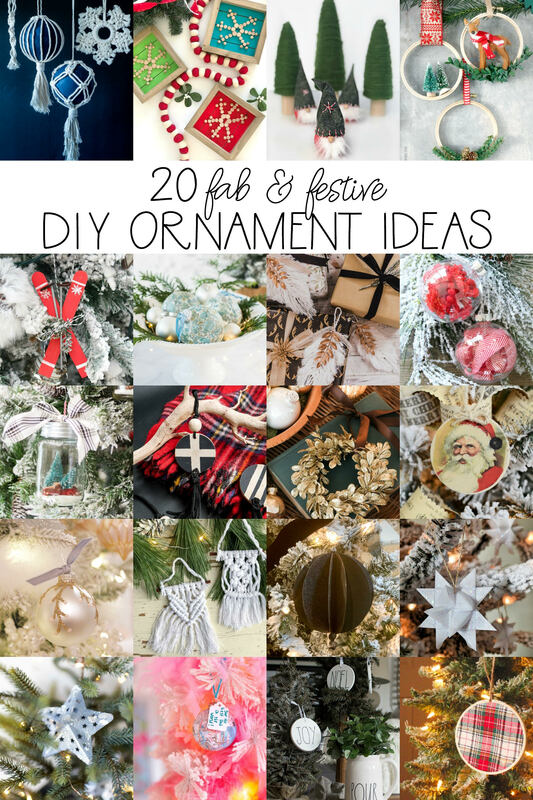 ❤️Oh great, now we will be making ornaments for the rest of the season because ALL 20 of these DIY Fab & Festive Ornament Ideas are amazing, every single one! 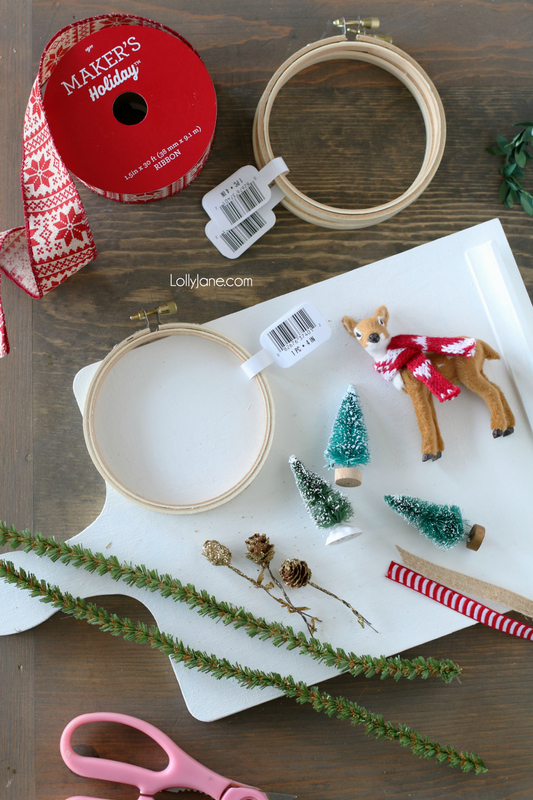 Join us in this hop to see what beautiful ornament YOU can make next! These are absolutely adorable! Love the little deer! These look like a fun project the kids would have fun with. Thanks for sharing and being a part of the blog hop! These are adorable. Love how mini they are.